Diane Ireland is Inksters' Legal Process Engineer based in our Glasgow HQ. Diane has a wealth of experience facilitating technology adoption and innovation within the legal profession. Before Joining Inksters in 2018 Diane worked as a Business Development and Marketing consultant with Denovo Business Intelligence. Prior to her role in Denovo Diane worked with the Scottish Legal Aid Board for 29 years. She was a key player of the project team involved in all aspects of successfully moving the legal profession from a paper based system to fully online services. 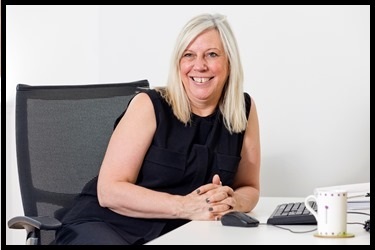 This involved Diane spending time in legal offices and working very closely with the profession and their staff, helping them identify their business requirements and ensure these were met as part of the online transition. Diane was a representative on the Government’s Digital Strategy Project where she was responsible for working with the Scottish Prison Services in setting up facilities allowing solicitors to speak to clients in prison via VC links from laptops or tablets. The combined knowledge and experience gained by working closely with the legal profession both at SLAB and Denovo and her knowledge of Denovo system, which is the Client Relationship Manager tool used by Inksters, is a perfect addition to the Forward Thinking Inksters Team. Diane’s role encompasses Legal Process Engineering, Process Strategy, Development and Legal Practice Systems planning. Diane lives in Bathgate with her family where she spends her free time taking the family dog for long walks in the countryside. Contact Diane Ireland on 0141 229 0880 or send Diane an e-mail.